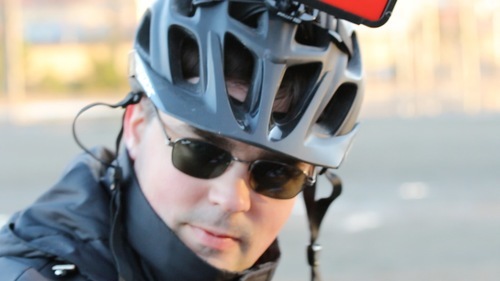 Henri Hiisilä began working on a quadcopter in his garage in 2013 and unintentionally started an aerial photography business. Gradually investing in more and more expensive cameras, he started to fear losing everything in a crash, and started to look for a parachute that would be ejected in case of emergency. All he could find were clumsy, slow and heavy ejection systems, and he started to consider building his own. But one beautiful afternoon, after dozens of successful flights and splendid pictures, he lost his quadcopter within seconds. 5 seconds to be precise, the amount of time it takes a quadopter to drop like a stone from a height of 150 meters. This may sound like a short time but it was long enough to imagine what the falling copter would do to the neighbor's kids playing in the backyard. In Henri's head those seconds felt like hours of horror and anxiety and made him understand that the parachute recovery system was actually much more important that the copter itself! 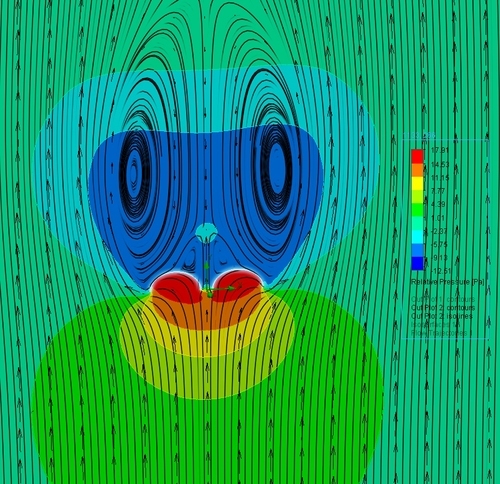 Airflow analysis of a drone parachute canopy. Henri is an mechanical engineer by profession, and all our products are rigorously scrutinized in simulations, lab and field environments. This could have been the end of a story, but it became the beginning of another. Henri decided to study in details what had happened that day and what kind of parachute recovery system would have saved the situation. He spent weeks finding and testing solutions to solve all the problems that existing recovery systems had; heavy weight, low reliability, slow triggering, safety issues, difficulties to integrate into a drone... Doing this, he ended up designing by himself the most reliable and best integrated ejection system for drones. A year later, after hundreds of hours of prototyping, manufacturing and testing, multiple improvements, and several versions, he thinks he's finally come up with the right answer to make sure your copter is not hurting anyone and save your investment in case of an accident or loss of control. And it's affordable too. 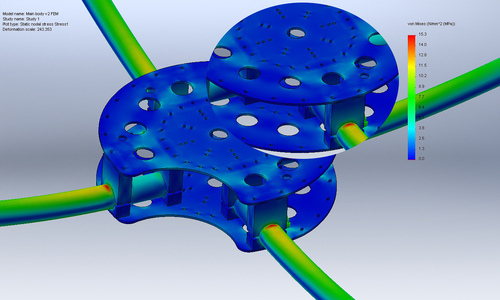 Traditional copter structures are simulated against expected forces to determine installation modification impacts of frame mechanical strength. In this case impact is minimal. 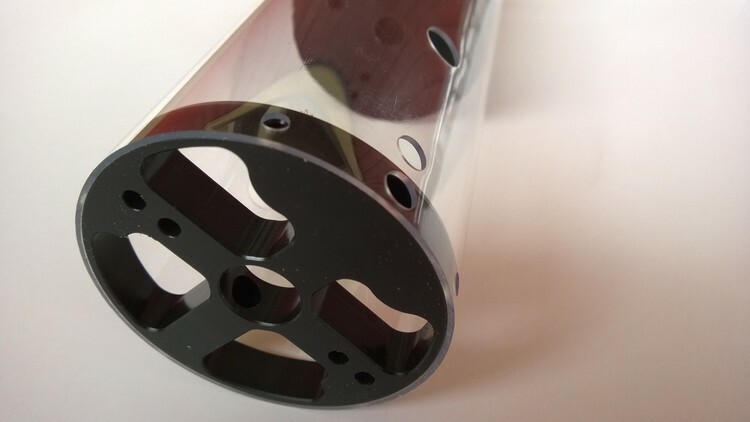 SkyCat Fuse® parts are engineered, drilled and milled to perfection. Every kit is manually checked by the inventor himself before delivery. There were dozens of prototypes and hundreds of test launches before Henri was happy with the reliability. 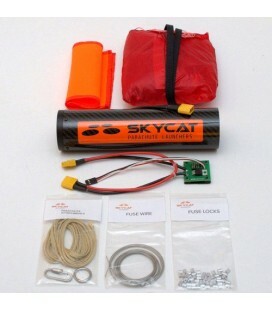 SkyCat FUSE® works in almost any angle, speed and orientation. it reuses regular radio transmitter channels typically found in most R/C radio equipment. 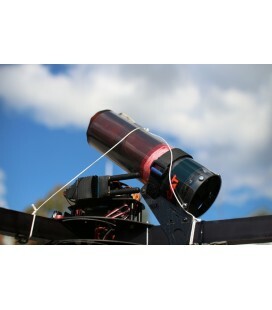 In working condition, the launcher unit only weighs a little more than 190 grams, making it perfect for UAVs that already carry equipment on board. 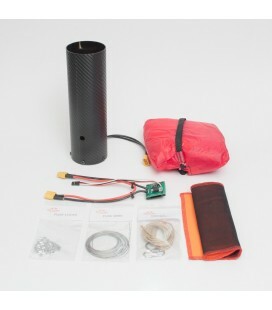 With a parachute, the total weight is about 400 grams. 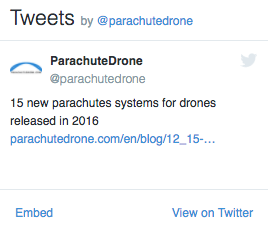 That's the story behind Skycat.pro, which Henri hopes drone and UAV enthusiasts or professionals around the world embrace so they don't have to watch their equipment plunge to the ground. We do not sell this product at the moment. You may order through Skycat's online shop. The Skycat X55-CF launcher has the best weight / performance ratio for 3 - 4 kg aircraft compared to any parachute launcher in the world. 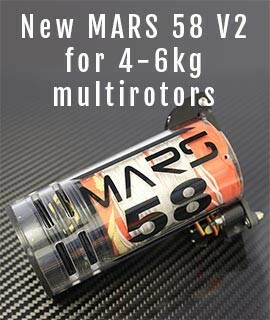 The weight of the complete recovery system is only 320 grams, including everything! The X55-CF launcher weighs only 157 grams. 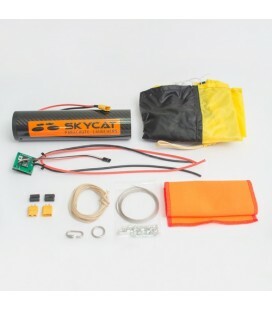 The Skycat X55-CF launcher with IFC-48-S parachute has the best weight / performance ratio for 3 - 5 kg aircraft compared to any parachute launcher in the world. 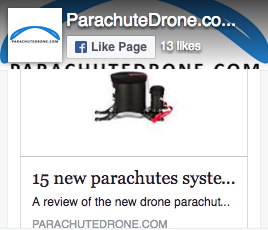 The weight of the complete recovery system is only 330 grams, including everything! The X55-CF launcher weighs only 157 grams. We do not sell this product at the moment. You may order through Skycat's online shop. This is the Skycat launcher unit only. 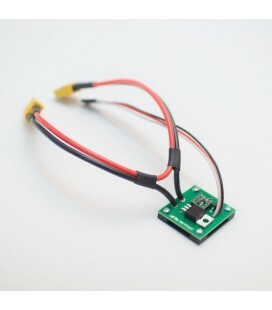 Pack it with your own parachute, plug it to your own trigger system with an XT60 connector and it's ready to go. You may want to buy a fuse pack for 20 additional launches. We do not sell this product at the moment. You may order through Skycat's online shop. 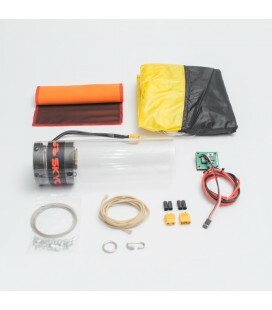 This is a complete Skycat X68 parachute recovery system.